CANAVAL is a Mas Band that performs Trinidad & Tobago’s carnival dance with soca music at Kochi’s famous YOSAKOI Festival (Carnival). Kochi and T&T has so much in common like its climate, people‘s energy and most of all, the carnival vibes. Why not join us and wine together ? Kegon, who is originally from Trinidad and now living in America, joined “CANAVAL” last year and gave us his experience report. We “CANAVAL” are very welcome for not only Japanese but also foreigners!! 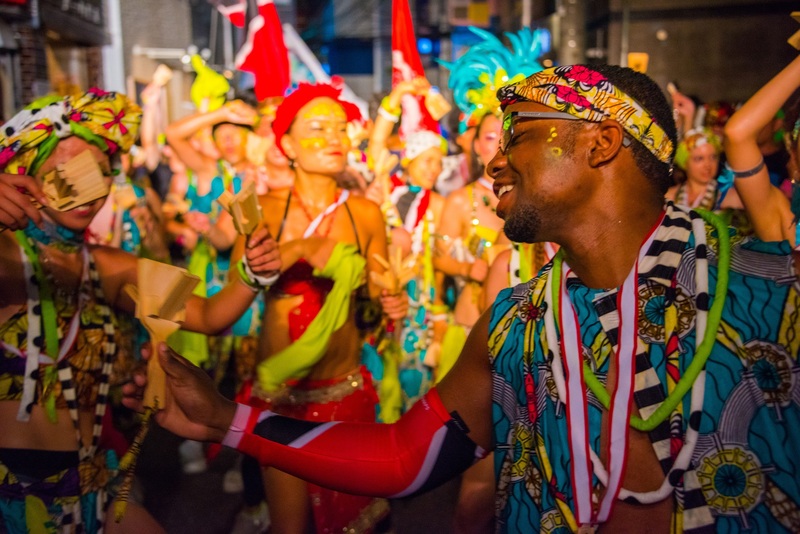 Now he has a Soca In Japan tour which you can experience Tokyo and a Carnival in Kochi, Japan. Please check it out! Born and raised in Trinidad and Tobago Soca and Carnival remains an important part of my culture and livelihood. I’ve been to many Carnivals around the world, and always seeking to experience the uniqueness of them all. Last year, after going Trinidad, Berlin, Toronto, Philadelphia, and Washington D.C carnival, I made my way to Japan “CANAVAL.” Japan CANAVAL is one of the most unique Carnivals I experienced outside of Trinidad. I’m not a dancer by any means. Being a Trinidadian, all I know is jamming on a bumper and whining. But surprisingly, learning the dance moves and later performing it in front of thousands of Japanese fans was incredibly fun. 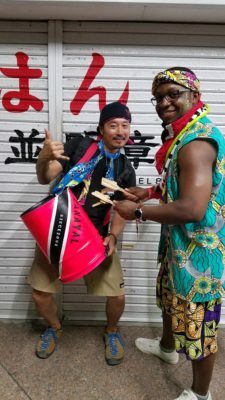 CANAVAL uses a combination of Traditional Japanese music and Soca music. This added a level richness to the choreography, trying to blend dancing routines to both sounds. Much like Trinidad, there are various judging points or “stages” along the road. Revelers, or “dancing people” as they call themselves, are encouraged to perform their best on these stages. Individual revelers are quickly rewarded upon clearing the stages with various levels of medals according to how well they performed. I happened to get two bronze medals — not bad for a rookie dancer! The two-day festival includes food and drinks, including alcohol. But, I would strongly advise to drink slowly, because you don’t want to be wasted and trying to do the choreography. Prior to each stage, there are a few minutes of free dancing, do what you want and free up to unchoreographed Soca music. However, it’s near the end of day 2 of the parade the choreography ends, and people do whatever they want. Water, powder and all the other elements to just party hard. I truly had a good time for the two days on the road partying to Soca and Japanese music. I never imagined I would be going to a Carnival in Japan. This year I plan to attend again, and I’m bringing others with me to enjoy this wonderful experience.